Richard Jones, a member of our extension advisory panel wrote a nice article on our project goals and objectives. Be sure to read and share with your colleagues! RosBREED 2 hosted their first Annual Advisory Panel Member Meeting on January 8th, 2015 in San Diego, CA. The RosBREED Executative Committee members hosted the meeting, which was attended by twelve Industry, four Extension, and eight Scientific Panel Members. The five objectives for the new RosBREED 2 project were introduced and planned Year 1 deliverables and challenges were presented. T Panel Members were provided with the 2015 RosBREED Annual Report. A national team of scientists working on genomics, genetics, and breeding of rosaceous crops has been awarded funds for a $10 million, five-year USDA competitive grant. The team will develop and apply modern DNA tests and related breeding methods to deliver new cultivars – cultivated varieties – that have both superior horticultural quality and improved disease resistance. This award, from the National Institute of Food and Agriculture’s Specialty Crop Research Initiative, will be managed by Project Director Amy Iezzoni of Michigan State University. 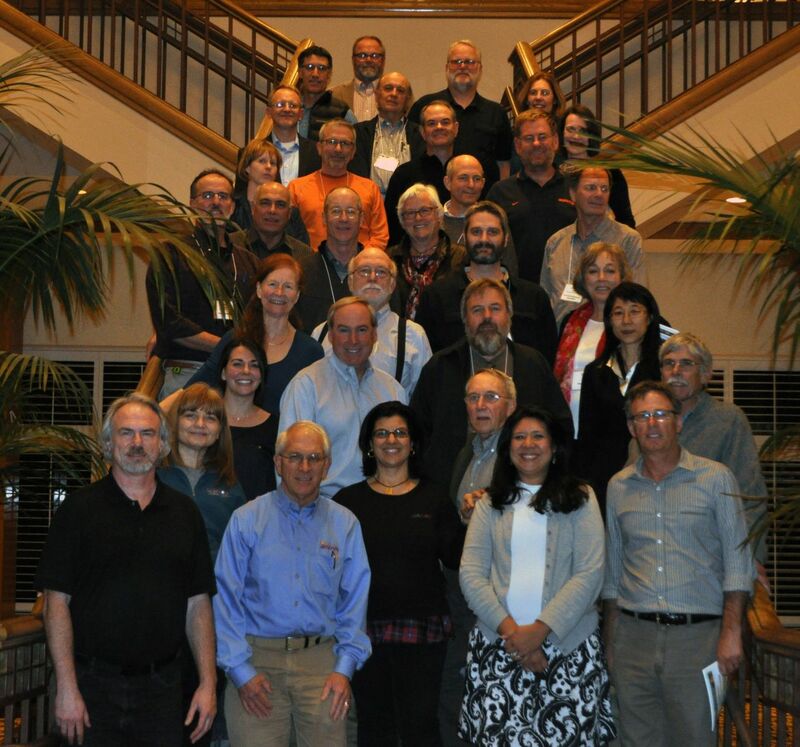 She and project co-Director Cameron Peace, Washington State University, will lead a group of 35 scientists from 14 U.S. institutions along with numerous international cooperators. 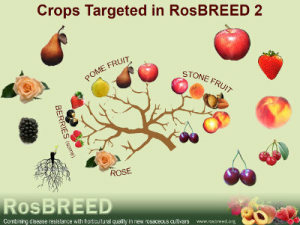 Entitled “RosBREED: Combining Disease Resistance with Horticultural Quality in New Rosaceous Cultivars,” the project will adapt and demonstrate new DNA-based tools in 22 U.S. breeding programs, focusing on eight crops: apple, blackberry, peach, pear, rose, strawberry, sweet cherry, and tart cherry. RosBREED brings unprecedented attention to local and regional breeding programs and a commitment to more efficiently, accurately, and creatively develop commercial scion and rootstock cultivars. The team will build on the foundation established in the preceding RosBREED project, adding many new scientists and targeting diseases that industry stakeholders across the country have identified as key challenges. Producers will have more options to sustainably protect their crops from disease, while consumers and the entire supply chain will directly benefit from products with better taste, nutrition, keeping ability, and appearance.